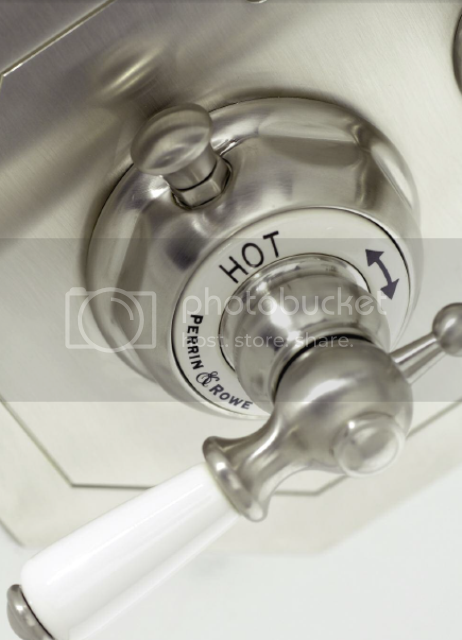 Renovate to Sell that House – Bathrooms Part Three! 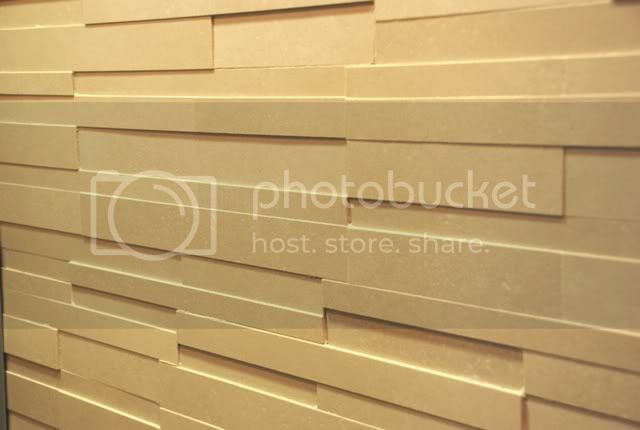 Welcome back to our bathroom feature – this week we will discuss the various tiles you can use within the bathroom and the colour choice as well as texture. If you want to check out our previous Bathroom blogs check out part one here and part two here. But just for the eyes – I love this stunning bathroom above from Reed Harris Tiles in the Technoquartz Silver range! Well these days anything goes! Or rather pretty much anything is available. The breadth of choice is simply stunning and one could get completely lost in all the wonderful glass colours, the amazing textures and the myriad choice of material. But, remember that this refurbishment is for a sale. So as much as I absolutely adore Bisazza mosaic tiles like the ones on their website, the price tag might just be a tad over the top – after all choose them for yourself in your next house not the one you are selling! 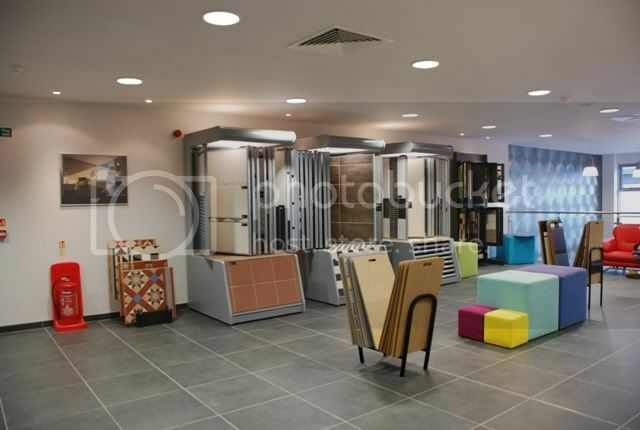 But best place to start is to visit a showroom like Reed Harris Tiles, CP Hart, Roca or other mid to high end showroom. They are always full of great ideas and you will get all the inspiration you will ever need. Let’s start with Slate and natural stone as I often get asked about this lovely textured stone. Slate is available in many different shades and textures, from light grey to dark black, there are even blue and greenish shades as well as copper and brown coloured ones. The thing to remember with slate is that once you have chosen the colour ensure the stone is textured so that you do not slip. Also as a natural product always ask the contractor to lay them out as a dry run first because the shades, texture and design can vary alot within the same batch, so laying them out first ensures that you get a design that looks coherent and beautiful. Also slate will need to be sealed – against limescale, cleaning products, etc... Stone is porous, but some is more porous than others. Just ask your tile supplier about this – they should have a range of products to suit. Same principles apply to granite, limestone, sandstone and marble. 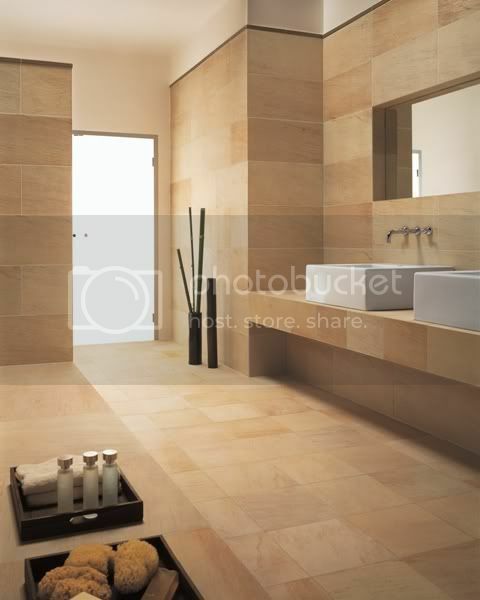 Ceramic tiles are very good value for a home re-furbishment. Especially if you want to sell. Clean and elegant – these tiles are hygienic, stain resistant and easy to clean. You can choose glazed ceramic tiles or unglazed which gives them a more subdued and contemporary feel. They can laid on top of old floorboard and existing tiles – just check with your contractor that they have the right adhesive and that your wooden floor joists do not need strengthening if the tiles are heavy. If you lay tiles on top of old tiles, remember that your floor level will be higher, so you will need to adjust the door! 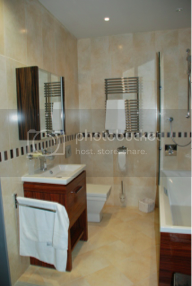 Look at this bathroom below from Reed Harris Tiles – the mosaic look looks stunning without costing an arm and a leg! Porcelain tiles can be a classier option only because they can mimic various materials like metal finishes, wood, even fabric. They do need special adhesives though so check with the supplier on which to buy. 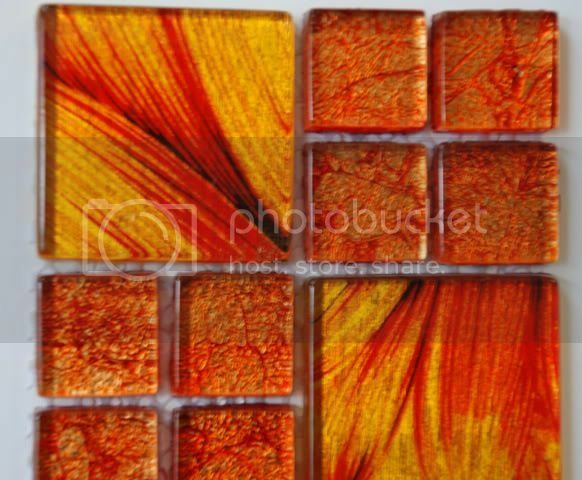 **Glass **– starting at around £15.00/m2 glass tiles are a good wall tile option. But they do scratch so a wall where they will get very little passing traffic is a good choice. Opaque or luminescent the choice is vast and I would say to use only glass tiles as a feature for a bathroom that you are re-furbishing with a view to sell. I would never use them for the floor in a refurbishment. This is very subjective of course. But in the case of re-selling, please do not go for that all Moroccan look.... totally out of place and the costs will not be recouped that easily. So Tadelakt walls ( waterproof limeplaster that can be polished to a high gloss) are not really suitable although rather beautiful. Stick to calming colours and if you must have some colour, then add a few tiles of lush bright colour like these ones below from Reed Harris Tiles – a few will not break the bank but can add a touch of “ je ne sais quoi “to a simple bathroom. This simple scheme below is given interest with a border at the Reed Harris showroom just picking up on the wooden colour and texture. Colour and texture. If you go for a highly textured finish – stick to a simple scheme and neutral colours. Too much colour and textural work can look very busy and make a room look small. If you go for a streamlined look, of glazed tiles then do add either a textural border or a touch of bright colour. The textured limestone below is fab but if it is in an area that you need to clean often (like the shower wall) then forget it – it’s impossible to clean properly. 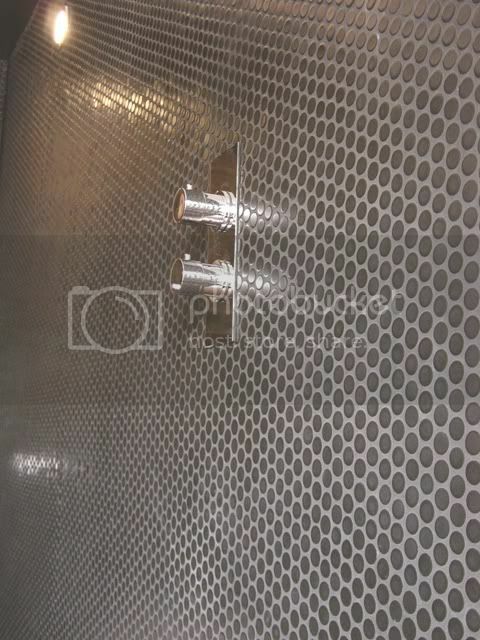 Place such highly textured tiled walls in an area that has minimum cleaning requirements. But remember that some bathrooms can be very warm with the addition of wood cabinetry as we can see below. Ultra-sleek shiny surfaced countered with organic wooden textures, can look stunningly beautiful. Rich and elegant but simple and not expensive. 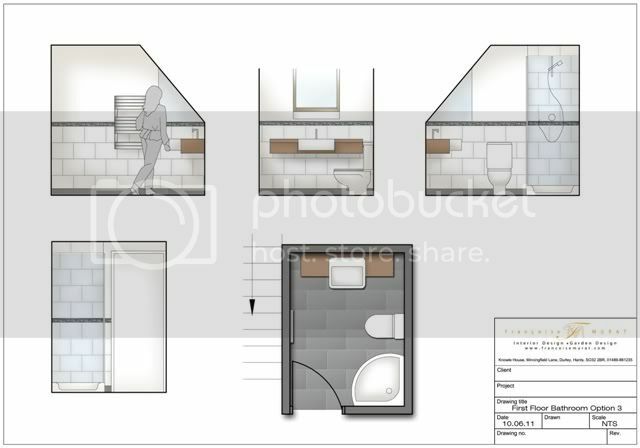 Below an example of using wood in a contemporary small bathroom – we often do these simple elevations for clients to show them how the space would look. The biggest thing to remember is that it need to look well put together. In other words, an angular looking toilet shaped very slab-like is not going to go well with a Victorian sink. So keep the whole suite in one style. Going for the more rounded look is better if you have small children for example. Less worries about knocking their heads on sharp 90 degree angles. Rounded is cosier and friendly looking. 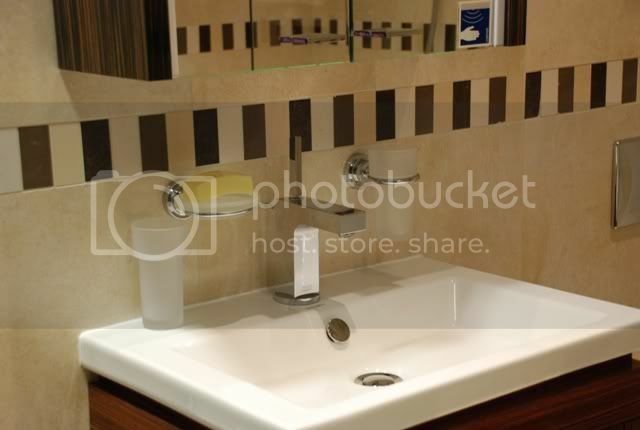 Perfect for a family bathroom is something like the picture below. 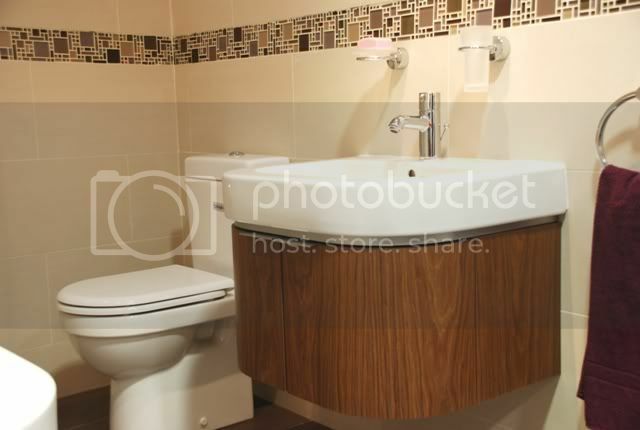 If it’s a bachelor pad, then the more angular-looking bathroom suite will be suitable. It’s sharp and clean looking. The one below is perfect (Tecnoquartz Doral Bathroom via Reed Harris Tiles). So match the bathroom suite to the look of the house and the target market – it makes sense when you are looking to sell. 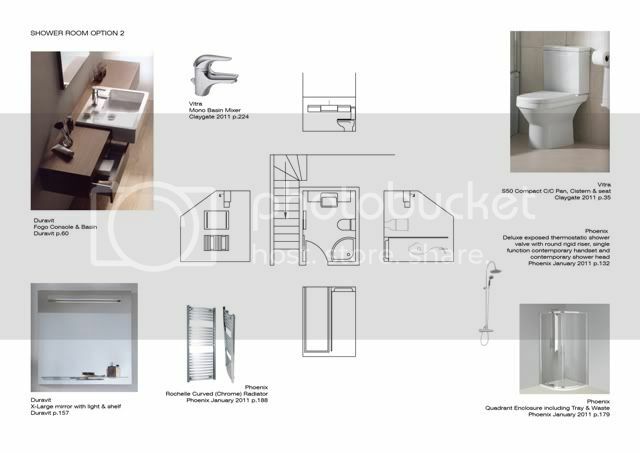 We prepare specification sheets for our clients like the one below to show them the type of fixtures and fittings we choose for their bathroom. Whilst we are at it – bidet’s. For me they are a thing of the past. In the UK they never really took off and people did not use them – or maybe to wash their feet! In Europe it makes sense, here it does not! Now as for the “look” of the room. 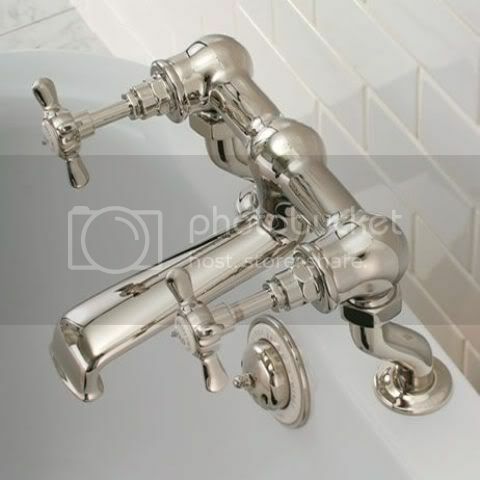 Remember to stick to good quality taps – because people do touch them and turn them on. Plastic in your hand does not feel nice. As far as aesthetics go, simple is always good if you want to sell. Or choose from the beautiful and reasonably priced collection at Lefroy Brooks or Perrin and Rowe. Particularly if the house you are selling is a period home. The two examples below are gorgeous. 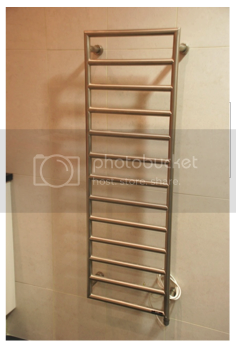 Lastly remember that utilitarian fixture and fittings can also look good – a towel rail also heats up the bathroom. Françoise Murat & Associates are Architectural Interior Designers and Garden & Landscape designers working in London and the south east. We specialise in period homes and historical gardens as well as contemporary new build or refurbishments.